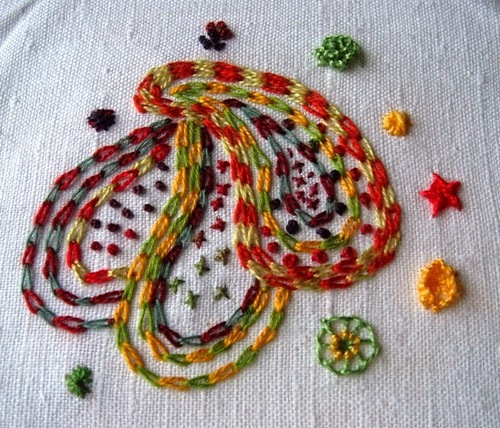 The stitch of the week is a chain stitch but with a difference having two colours. I thought is a great tutorial from Mary Corbett. Her videos are so easy to watch. There are lots of different stitches here put together, but the checkered chain stitch is a great outline stitch!